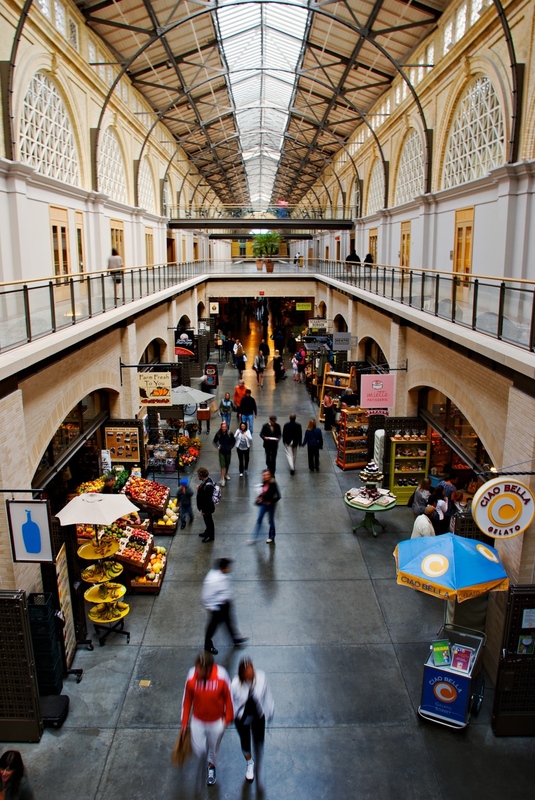 As I have written in previous posts, I really like the Ferry Building in San Francisco. I like the history as well as the architecture. It's cool both inside and out. A few times each week they have this excellent farmer's market, and I was happy to find it in full swing on my recent visit. This time I was able to get up on the 2nd floor and get a nice view of the action. I also got some cool shots of the 2nd floor itself, so look for those sometime soon hopefully! Thanks for stopping by!